There would hardly be anybody who is not advised to walk. It is one of the best forms of workout and the easiest to adopt too. But very little is known about how it boosts your brain power. Read on to know how this easiest of all exercises can help you stay younger in addition to getting fit. A study conducted by the University of Pittsburgh showed that people who walked more tested positive for greater brain volume. Shrinking of brain is one of the most obvious signs of ageing and this is associated with dementia and Alzheimer’s disease too. So, walk daily to delay ageing. The Department of Medicine at The University of Toronto performed a study on understanding the impact of walking on the health of the hippocampus- an area of the brain responsible for spatial memory. Walking caused increase in the size of the hippocampus and boosted the growth of neurons, thereby proving that walking can help you improve cognitive abilities too. 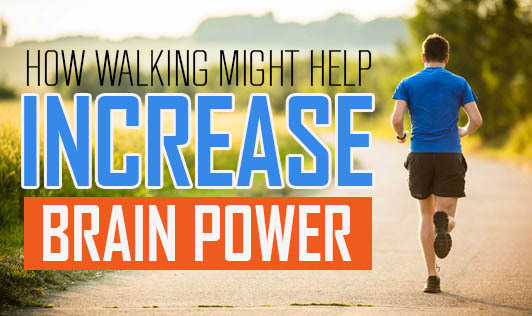 According to a leading study published in a Journal by the University of Illinois, walking and other physical activities help improve connectivity amongst various parts of the brain, thereby, increasing brain function and coordination. A lot is being done on finding the connection between walking and enhanced brain power. The best we can do for now is to continue taking our daily walks for our own mental and physical wellbeing.